Hand painted rhinestone tile. 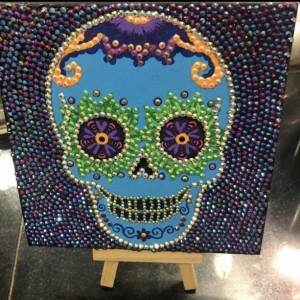 Each one is custom made so no two are the same. 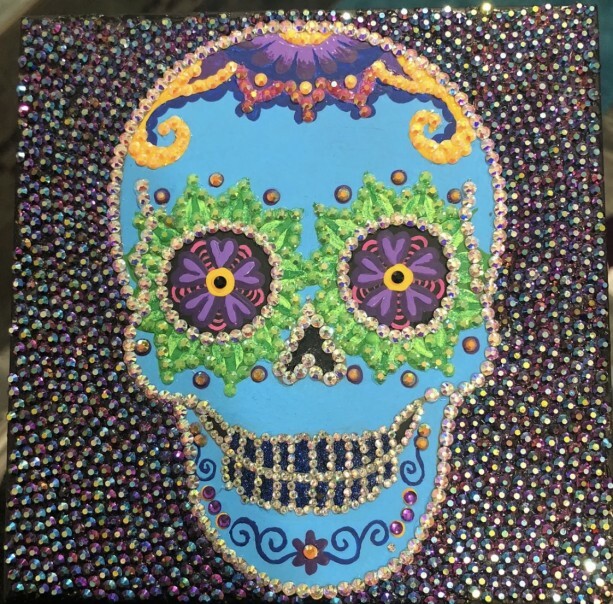 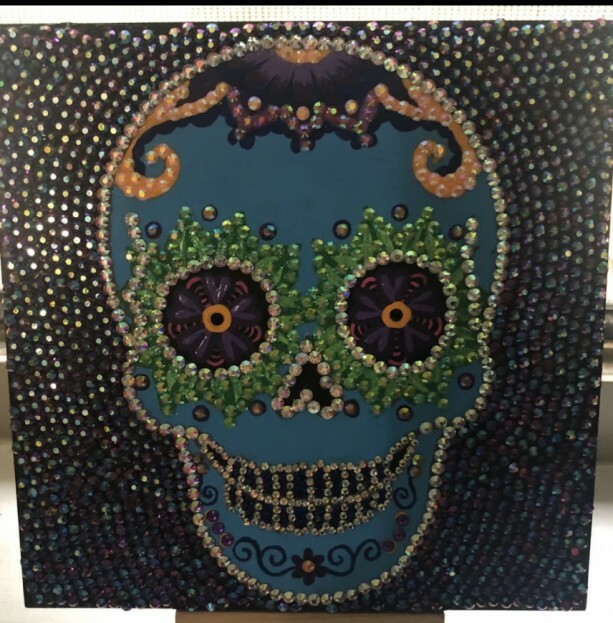 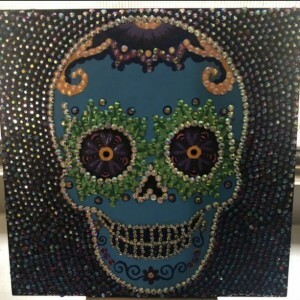 Over 2000 rhinestones accent the sugar skull painting on the tile. 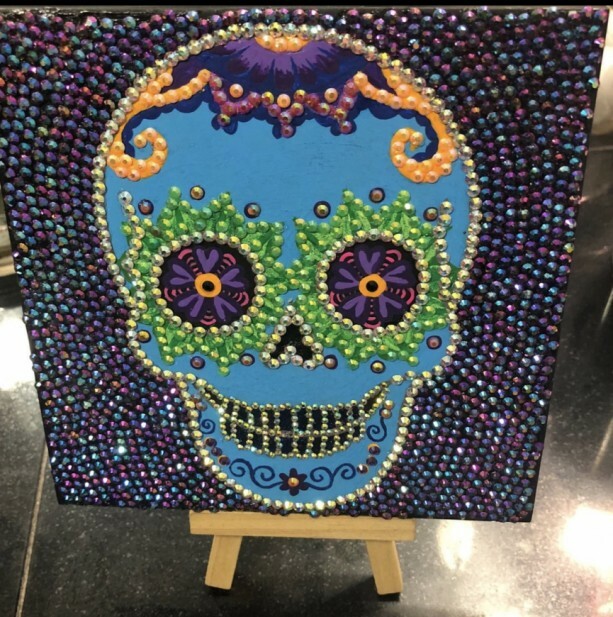 Tiles come waterproofed so it can be incorporated into a backsplash design for a custom touch to any kitchen or bathroom.